Excellent classroom management is KEY to a productive and safe learning environment. When choosing your behavior management systems, it’s important to have more than one system in place. I like to have a behavior system to hold individuals accountable, small groups, tables and whole class. The whole class behavior system works beautifully in situations where I expect the whole class to be on their best behavior. When another adult pops in my room to talk to me, my students are quiet as a mouse!! You can hear a pin drop! That’s because they know that they will be rewarded for making these awesome choices as a class. It’s so hard for 26 5-year-olds to ALL sit quietly and patiently while I talk to another adult for 3 WHOLE minutes!! But, my kiddos almost NEVER let me down!!! I found 2 giant googly eyes for my display and made a big Ten Frame. Every time I see my WHOLE CLASS displaying positive behavior…sitting quietly, transitioning perfectly, working together, etc. Then, they get a big google eye added to their ten frame. (I just put velcro dots on the ten frame and the backs of the eyes to attach them) When they reach their goal of 10 google eyes, then we get a whole class reward! You can grab some GIANT google eyes along with the large sized google eyes for the ten frame, in the party supply section at Target RIGHT NOW!!! They come in a pack like this and are only $2.99!! If you’d like the ten frame and words to make your own display, you can download it HERE! So, that’s a fun little system that I use for whole class behavior management, but there are lots of other fun ways that you can implement a behavior system in your class!! How fun is that?? Each time your whole class is on task or doing what they are supposed to do, pull a number and cover it on your Bingo board!!! When they get a bingo, the whole class gets a reward! I LOVE this bingo display from The Teacher Thief! Next up, Flipping for Good Behavior!! 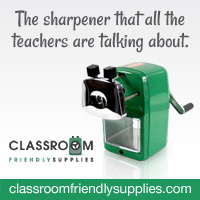 This option, from One Sharp Bunch, is great because the class reward is built right in!!! Each time the class is doing what you expect of them, you can flip over another letter. When the whole message is flipped over, the class wins whatever the message is that was revealed!! How cute is this “Brownie Points” system from Sarah at First Grader at Last?! Give students a Brownie on their cookie sheet when the whole class earns it and when they fill up their tray, the class earns a reward!!!! And, last but not least, you may have seen this adorable idea of building a potato head from Second Grade Rocks! LOVE!!! You can read about how she does this HERE. So, once your kiddos earn a Whole Class reward, what do they win??? I put together a little pack with 40 different Whole Class rewards! Most of them are super easy and FREE and your kids will LOVE them!!! We have been in school for 50 days now and my class has now won 2 whole class rewards. Our first reward was “Wear a costume to school”. You don’t have to make a spinner for this to work!!! There are lots of ways to use these little reward cards!! It can be as simple as pulling one from a bag! If you have THESE magnetic spinners, you can draw a little spinner on the board. Just tape the choices up or put magnets on the backs of them! You can also use this awesome magnetic spinner from Educational insights!! Just tape or velcro the choices on!! Every single whole class reward comes with a letter to send home to parents! This is just to let them know that the class has earned a reward and/or to ask them to bring what is needed that day! If it’s something as simple as “Free Choice”, the note is just to let the parents know so that they can share in their child’s excitement. Or, if it’s something like “Bring a drink” it tells the parents what day they will need to bring a drink to school. All of the notes come in an editable version. We have our new reward note ready to go home this week!!! The kids are so excited about our special day that’s coming up!! If you’d like to snag this little Class Rewards pack, you can check it out HERE!! !